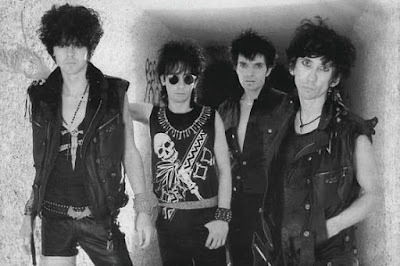 Comprised of the Dead Boys’ Stiv Bators, the Damned’s Brian James, Sham 69’s Dave Tregunna, and the Barracuda’s Nick Turner, Lords of the New Church were the first “supergroup” of the post-punk era. The band’s self-titled 1982 debut album stands as one of the true classic rockers of the era, and now the title is going to get an overhaul and expansion for the new century. The album will be expanded with the addition of a 13-song live set from 1982, performing at the legendary Long Island NY club My Father’s Place. Along with high-octane live versions of songs from their debut like “Question of Temperature,” “Russian Roulette,” “Holy War,” and “Apocalypso” the live disc also features a cover of New Orleans music legend Allen Toussaint’s “Fortune Teller.” The set also includes a twelve-page, full-color booklet with liner notes by music journalist Craig Rosen. Formed in 1980 by Bators and James at the suggestion of I.R.S. Records founder Miles Copeland, the Lords originally included former Generation X bassist Tony James and Clash drummer Terry Chimes. James’ former Damned bandmate Rat Scabies even sat in on drums for a while, before the band line-up gelled with the addition of Tregunna and Turner. 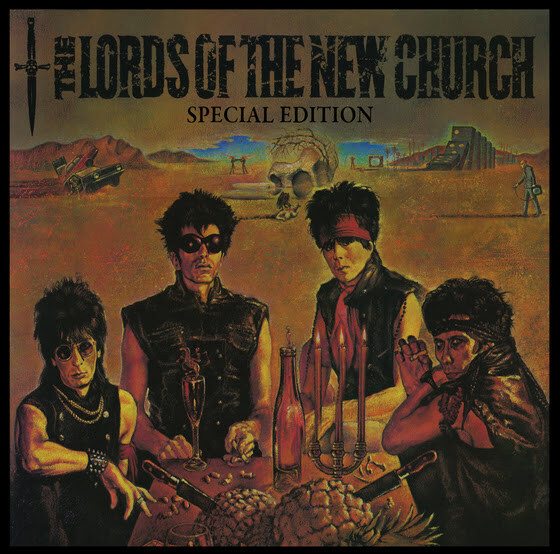 Although their time in the sun was short-lived, Lords of the New Church released three classic rock albums between 1982 and their 1989 break-up, following up on their debut with Is Nothing Sacred? in 1983 and The Method to Our Madness a year later.